I am working on pixels. And when I make collision shapes I have to use 800% view. 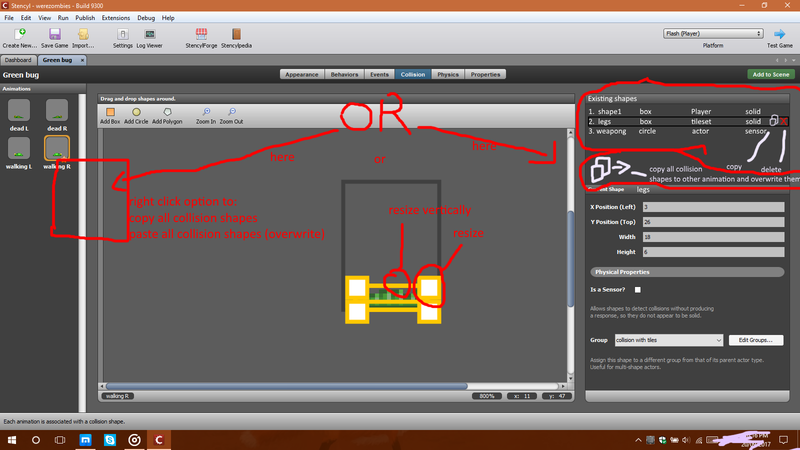 In attached pic, I have 3 collision shapes. One is small rectangle on bottom. Rest 2 shapes are also rectangles, their x/y shapes and x/y dimensions are the same, they are in the same place but their groups are different. This small rectangle is under those 2 other shapes, so if I want to modify it, firstly I have to move other 2 shapes and then I can change it. How about adding list on the right of currently existing shapes, and reaching and selecting them there instead of clicking them in preview. Or simple copying all shapes from one animation to another?